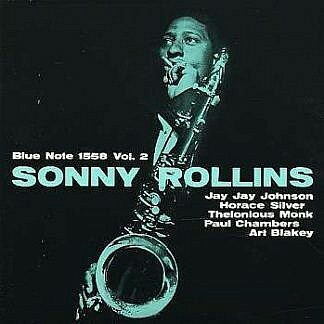 Sonny Rollins is one of the giants of the tenor sax. Sonny recorded this seminal album on April 14th 1957. The all-star group is an impressive A-list of players: Art Blakey, Paul Chambers, J J Johnson, and pianists Horace Silver and Thelonius Monk, but it is Rollins is the focal point. ‘You Stepped Out Of My Dream’ is a fine blues driven by Silver’s frenetic piano. Rollins delights on his own compositions ‘Why Don’t I’ and ‘Wail March’ with melodic invention and powerful improvisation. It is the two Thelonius Monk tunes ‘Misterioso’ and ‘Reflections’, which feature the genius himself that define ‘Volume 2’.